Biodiversity awareness has been measured in 16 countries around the world since 2009. A total of 64 000 consumers were surveyed. 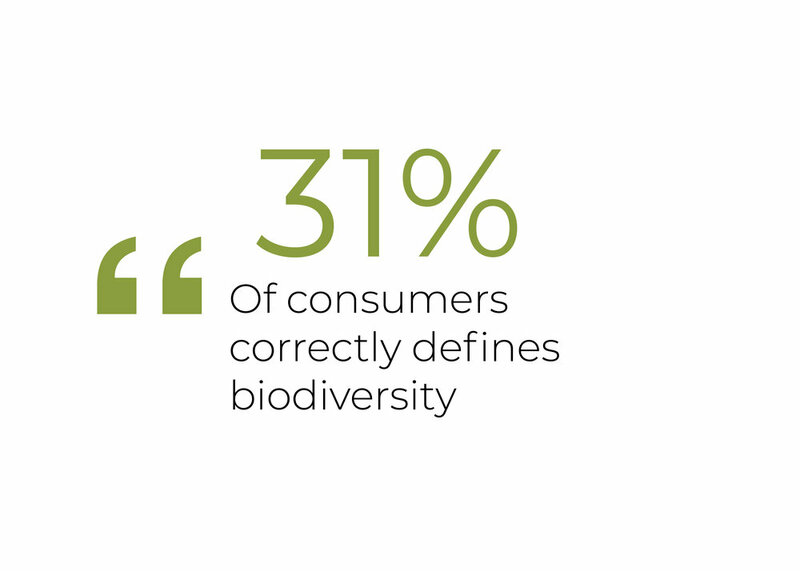 In 2018, 71% of consumers claim they heard of biodiversity but only 31 provided a correct definition. Between 2009 and 2018 awareness rates and understanding of biodiversity have gone up in the countries surveyed annually by UEBT. However, the last years the increase is slowing down. Increase has been particularly strong among some segments: lower income groups grew on average with 13 percent points, youth with 19 points. Consumers feel closely linked to biodiversity. They find biodiversity conservation important for their well-being and that of generations to come. Respecting people and biodiversity in purchase behavior is of growing concern. Buying products with natural ingredients that are sourced with respect makes them feel good. 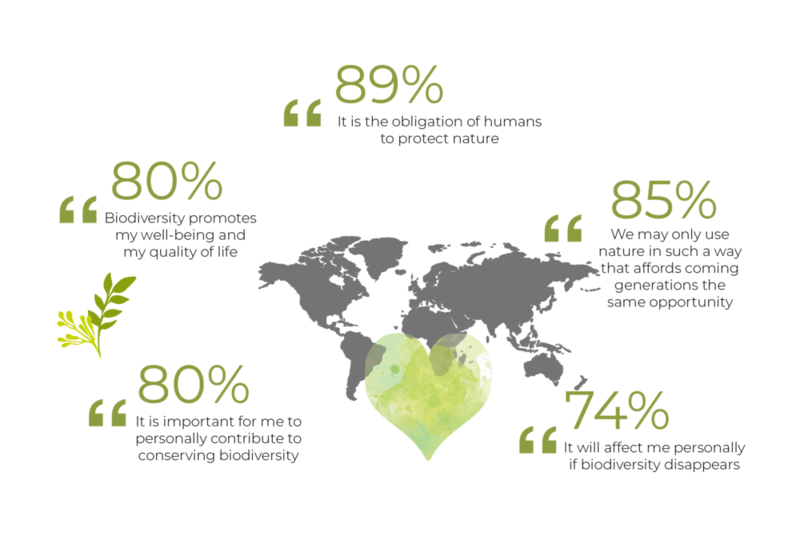 Most survey respondents think that companies have a moral obligation to have a positive impact on society, people and biodiversity. Trust in companies has been very low over the last decade. Consumers require evidence about companies’ commitment to responsible sourcing. Verification by an independent organization, insight in concrete actions that a brand takes, or an on-pack label are seen as ways to prove brand commitment. Q6: Here is a number of statements about the involvement of companies in ethical sourcing of biodiversity. When asked what information they would like to see on product packaging, consumers rated the following highest: list of ingredients, the impact on biodiversity (support for bees, wild flowers, replanting no deforestation), and the origin of ingredients. Respondents rated the social impact and fair compensation of actors of the production chain slightly lower. Question: Do you think companies have a moral obligations to assure they have a positive impact on society, people and biodiversity? Question: Are you confident that companies pay serious attention to local biodiversity when they purchase raw materials for theirs products? Question: How would it make you feel to buy products from companies that respect people and biodiversity? Question: Do you think that a consumer can have a positive impact on society by buying products from companies that respect biodiversity and people?